As recently seen on Arbortech® Youtube channel, they featured a video on carving a small tree. So I thought I’d have a crack at it. I learned pretty soon that a dry piece of pine may not be the best material for the desired effect. This little pine tree pictured on the left is what I just tried my hand at carving. The tree on the left is something I tried using the Arbortech mini carver a few weeks back. I started with putting the Turbo Carved blade on the grinder to get the shaped blank of wood. 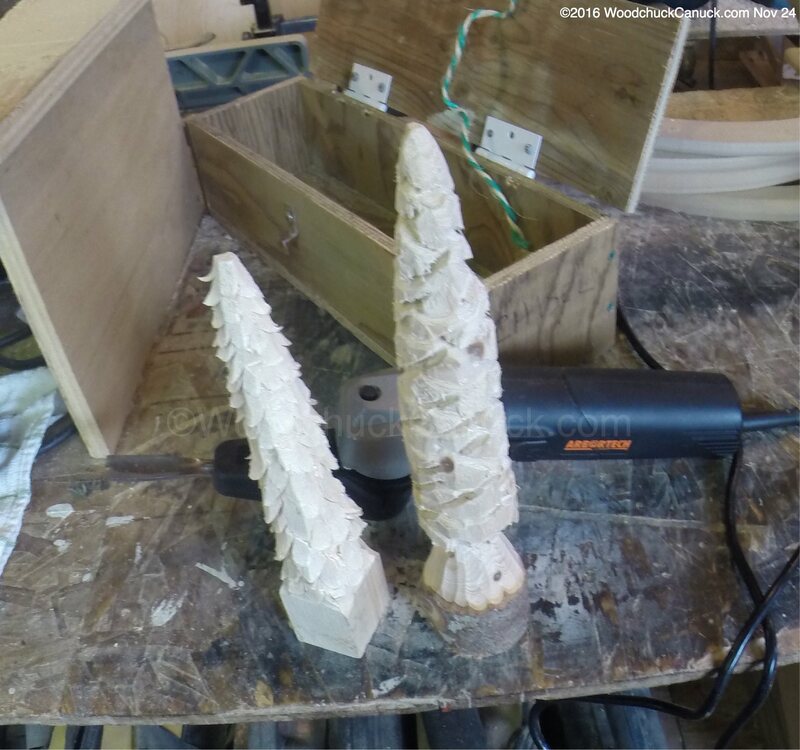 Next was to take out the Arbortech® Power Carver Kit and try out a couple different chisel tips to see what works, and what effect each tip could have. It would help greatly if I had a proper vise, but since I don’t have that, I make do with what I have. Not bad for a first attempt I think. I’ll probably try again with greener wood to see what difference it will have.